Fawzi Haimor has been named music director of the Württembergische Philharmonie after a unanimous vote by the musicians. He was selected from 18 auditioning candidates. Local media have introduced him as ‘an American of Arab roots’ (Amerikaner mit arabischen Wurzeln). Fawzi was, until recently, resident conductor of the Pittsburgh Symphony Orchestra, learning the ropes. Chicago born, he was raised in Saudi Arabia where his Jordanian-Lebanese father worked for the UN. 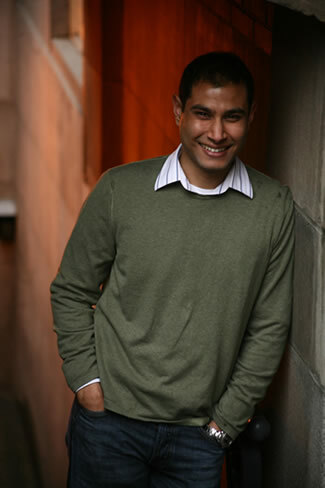 Fawzi studied violin, conducting and neurobiology at Indiana University. He now lives with his young family in San Francisco and is working on his German. He is agented by K D Schmid out of Hannover. Another effective undermining of racism. A culture is something distinct from ethnic background, hair colour, nose size etc., and can be absorbed and identified with. In the same way, immigrants can become Westerners, and if Western musical culture is cultivated as such, it will be accessible to anyone. ” In the same way immigrants can become Westerners…”. They can if they chose to accept the laws of their new country, tolerate its beliefs and make an effort to succeed. In return the host country has an obligation to give them a fair chance. Anything other than that is a recipe for disaster. What absolutely intrigues me is the new hypenated nationality. You are an African-American, a Turkish-American, a Mongolian-American. And this stain has affected many western immigrant nations now. We are truly a group of independent tribe rather than a cohesive, easily identifiable set of nations – all based on the politics of identity. Dull beyond words. Anodyne beyond belief. The man who is the subject of this item is an American as far as I’m concerned. That tells me all I need to know about his nationality. Does this now make him an Arab-American-German? He was charming in Pittsburgh when giving lectures. No, it makes him American. Classical music is a transnational art form, the opposite of trumpism, wutbürgerism, pegidaism, serialism and cubism. Where you are born, defines your nationality as identifiable in your passport. But your personality may be something quite different. Most people are made-up by many different bits of identity which are not indicated in their passport but which are expressed through their actions, and in music that offers a rich variety, it seems to me.